Hunted by demons from her past, an innocent girl must turn to a brutal mercenary for protection. A man that will break her, reshape her, forge her. After a stranger guns down Cora Swan’s childhood love in cold blood, she is forced to go on the run with a man she hardly knows. Milo Finn, the mercenary hired to protect her, doesn’t know whom to trust after receiving a mysterious message from Cora’s former bodyguard, a man Cora’s father suspects of having betrayed the family. He takes her to the only safe place he knows. But Cora’s sweet innocence is stirring something beastly inside Finn. Soon, even a remote cabin will become a deadly trap for her if he can’t control his own dark urges. 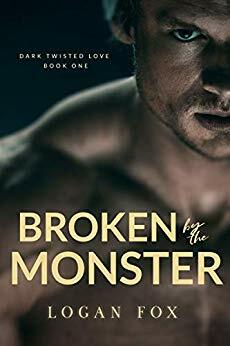 Broken by the Monster is the first book in the dark romance cartel series, Dark Twisted Love. If you can’t get enough of darkly troubled alpha males and the innocent they prey on, then you’ll love Fox’s deliciously dark and twisted romantic suspense. $0.99 on Kindle.